Manny Pacquiao never envisioned a career in politics, not even once he became one of the most famous Filipinos in the world. As much as he hated politics, though, the legendary boxer never forgot how it felt to be extremely poor. 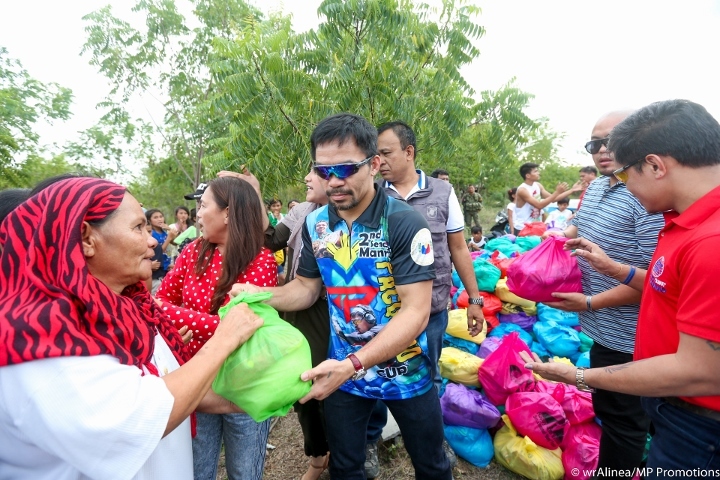 Perhaps more than anything, his burning desire to help people languishing in similar circumstances pushed Pacquiao into the political arena. Pacquiao discussed his political mission with Showtime during Episode 1 of “All Access: Pacquiao Vs. Broner.” The first episode of Showtime’s behind-the-scenes look into both boxers’ lives will premiere Friday at 10:30 p.m. ET/PT (https://www.youtube.com/watch?v=ARskmaOlrwc&feature=youtu.be). The 40-year-old Pacquiao has been a senator in the Philippines since May 2016. He served as a congressman, a less time-consuming commitment, during the six previous years. Rodrigo Duterte, the 73-year-old president of the Philippines, consistently states that he hopes Pacquiao succeeds him in office when Duerte’s term ends at the conclusion of June 2022. While appreciative, Pacquiao said recently that he has no current plans to run for president in his homeland. As a senator, Pacquiao has strongly supported rights for Overseas Filipino Workers, commonly known in the Philippines as OFWs. Pacquiao (60-7-2, 39 KOs) will defend his WBA world welterweight title when he boxes Broner (33-3-1, 24 KOs, 1 NC) on January 19 in Las Vegas. Their scheduled 12-round, 147-pound championship match will headline Showtime Pay-Per-View’s four-fight broadcast from MGM Grand Garden Arena.